If you think doing business on the web begins and ends with online banking and e-commerce, you haven't been paying attention. Today's innovators are tackling all manner of chores—including those facing brick-and-mortar operations and tasks that traditionally required expensive software or experts. Some new business services come from established financial technology players such as Yodlee; others hail from tiny startups. These apps can potentially help your SMB raise money, keep the books, find customers and investors, or simply ring up sales and get paid. Here are half a dozen that caught our attention at the Finovate Fall showcase in New York earlier this month. Yodlee is best known for its consumer online banking software, which is white-labeled by dozens of institutions, and it makes other finance apps. 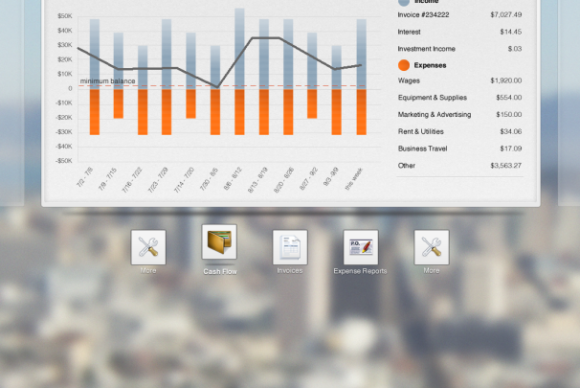 It recently unveiled the Yodlee SmallBusiness Suite, which includes widget-like components called FinApps. These handle payroll, invoicing, funds transfer, bookkeeping, trip-planning, inventory management, cash flow and expenses management, and more. Some involve partners that specialize in business tools, such as PaySimple, TouMetis and Working Point. 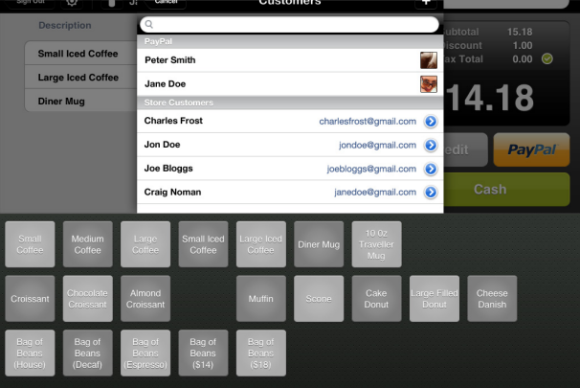 Based on HTML5, FinApps will run on multiple devices. Yodlee won't offer them directly; rather, they will be deployed by its financial institution partners. There's more to running a brick-and-mortar business than swiping plastic à la the Square card reader. ShopKeep takes mobile commerce to a new level with a complete cloud-based point-of-sale service accessed via its new iPad app, ShopKeepPOS. In tandem with a card swiper, a cash box, and a receipt printer, ShopKeepPOS lets you easily ring up sales and collect sales tax and train employees to do so in minutes. It also affords anywhere-access to income and inventory reports—all for $49 a month (excluding payment gateway fees) for a single register. Bolstr's take on crowd-sourced fundraising is that most businesses don't want to surrender control by giving up ownership interest. Their alternative: revenue sharing. In exchange for capital, a business agrees to give investors a share of revenue for a fixed period of time. This private-offering approach is a good fit for community-based lending—in other words, raising money from friends, family members and patrons. 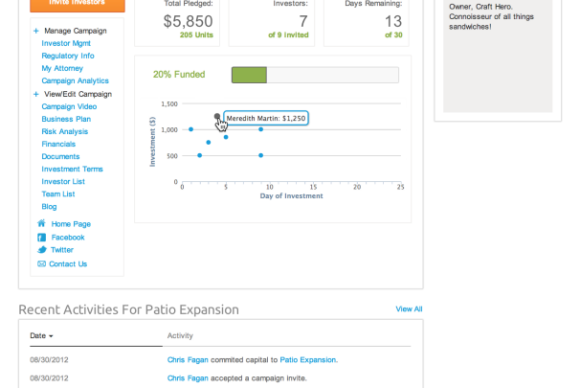 The site also provides tools for engaging and informing these investors. PaySimple, a cloud-based service that automates billing, receiving payments, and customer management for small businesses, now enables its merchant customers to add incentives for early payments and to charge late fees on invoices. 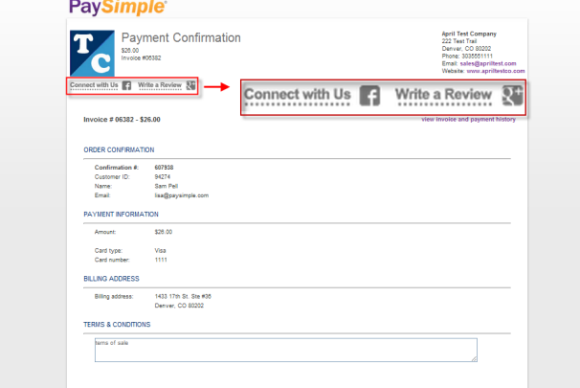 Additionally, companies can add their social media links to online invoices. PaySimple has a two-tiered price structure: for $35 a month, it will handle all your billing and accept major credit card and e-check payments at competitive rates. 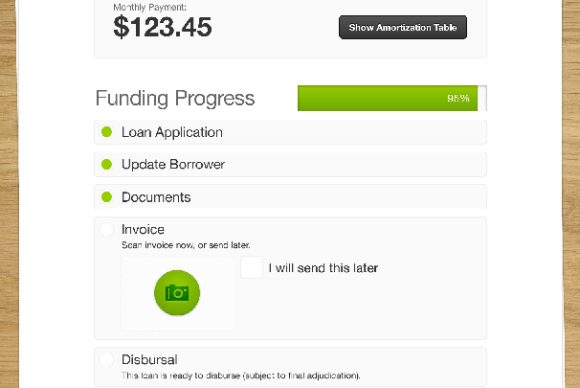 An $11-a-month plan covers electronic invoicing only. CommunityLend, a Canadian firm, has developed a platform that allows businesses to make loans to customers at the point of sale--basically, allowing the customer to pay over time with interest. Called FinanceIt, the service lets the customer apply online and get approval within a minute or two. The service itself is free; interest rates on the loan run between 7 and 13 percent, according to the FinanceIt site. The service so far is primarily working with verticals, such as home repair. Nonprofits have special financial needs—most notably the ability to accept and properly process donations—that conventional accounting software and services don't always address in a comprehensive manner. Billhighway offerscharitable organizations, churches, schools and the likea full range of cloud-based financial management services, including a soon-to-be launched mobile donation app. Pricing is customized to the organization's needs.